But what’s more interesting is that Amazon Video continues to creep up the charts, coming in at 4.26% — ahead of both iTunes and Hulu — and over twice what it was a year ago. Earlier this month, Amazon CEO Jeff Bezos extolled the virtues of Amazon’s video offerings, saying they could become a “fourth pillar” of Amazon. 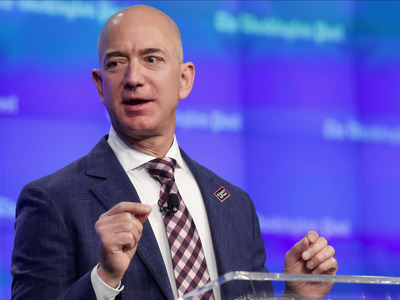 He also said they help other parts of Amazon’s business, which could help explain why Amazon is investing heavily in it, with analysts at Bernstein estimating that Amazon spent $2 billion on video content for Prime in 2015. “When we win a Golden Globe, it helps us sell more shoes,” he explained about Prime Video in particular. Beyond shoes, Amazon’s investment seems to be translating into increased use of Amazon Video as well. Amazon’s video section includes Prime Video, its Netflix competitor, as well as a rental and purchase business that competes with players like iTunes. Amazon Video has more than doubled its downstream usage percentage in the last year, from 1.97% to 4.26%, and is up from Sandvine’s last measurement in December (3.11%). And Amazon has pulled away from both Hulu and iTunes in usage. It’s also worth noting that downstream internet activity is an imperfect proxy for how much time people spend watching (since both Netflix and Amazon have made strides towards reducing how much bandwidth their services use). But it still provides a good basic snapshot of the competitive landscape, and shows Amazon climbing.